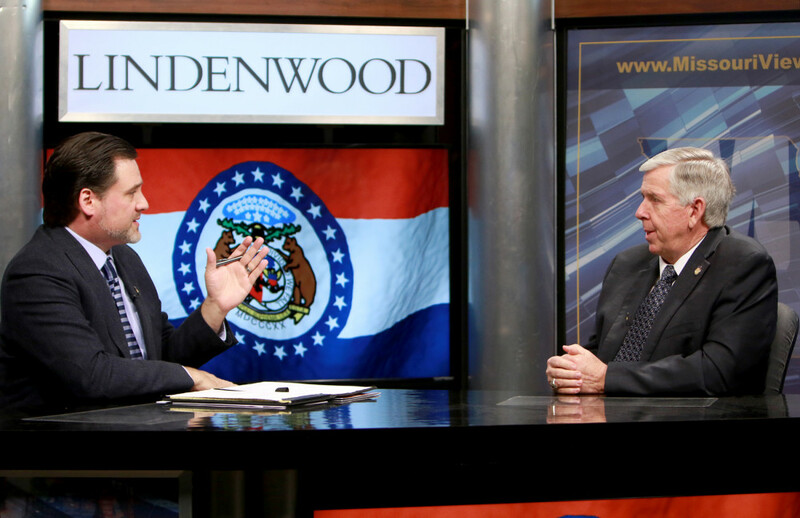 Missouri Governor Mike Parson was on campus in late January to record an interview on the public policy show Missouri Viewpoints with host Mike Ferguson. 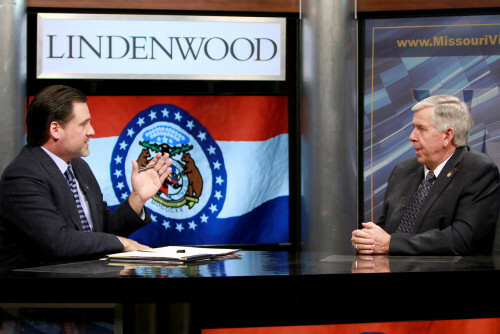 The show is recorded at the LUTV facilities in the J. Scheidegger Center for the Arts and airs on stations throughout the state, including Lindenwood radio station KCLC 89.1 FM. 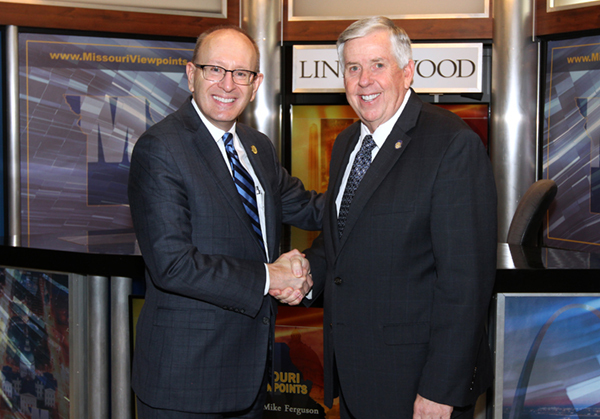 After the interview, Pason met briefly with Lindenwood University President Michael Shonrock, Ph.D.